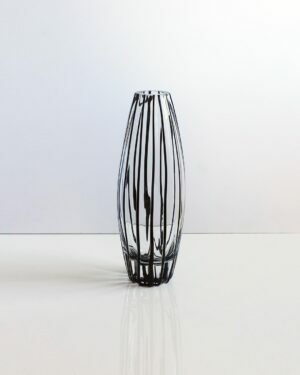 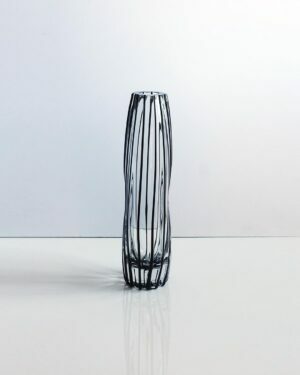 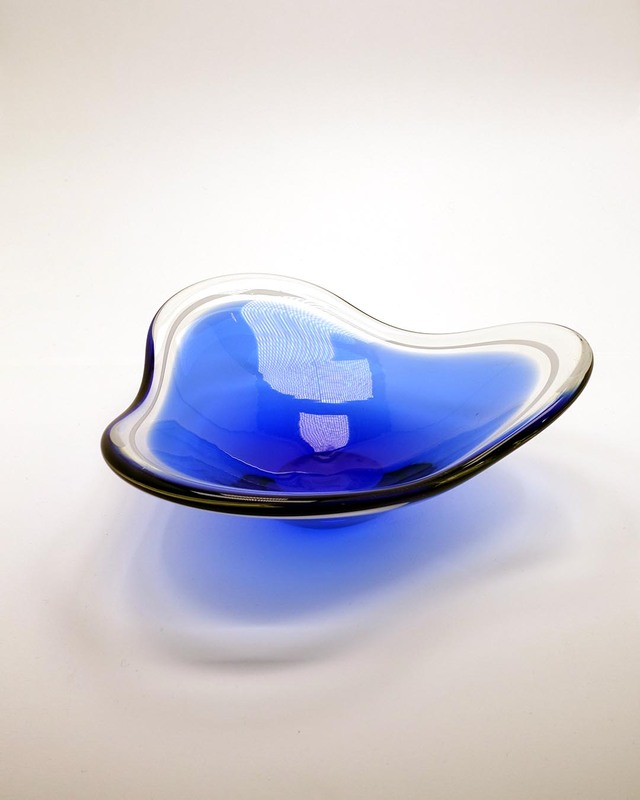 Brilliant biomorphic design in sommerso blown glass. Signed by Paul Kedelv and the maker’s mark is engraved on the bottom too. Flygsfors, Sweden. 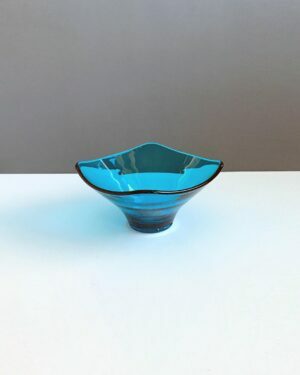 It is dated 1952. 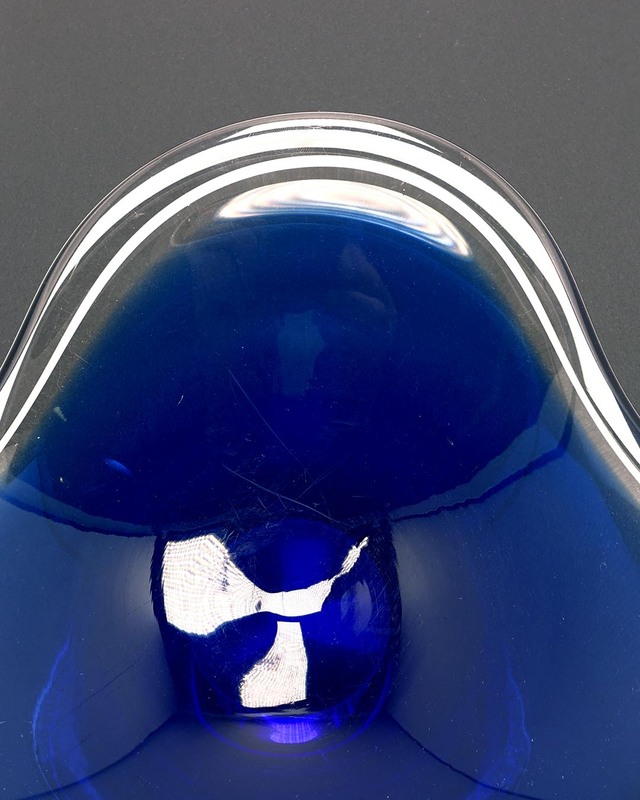 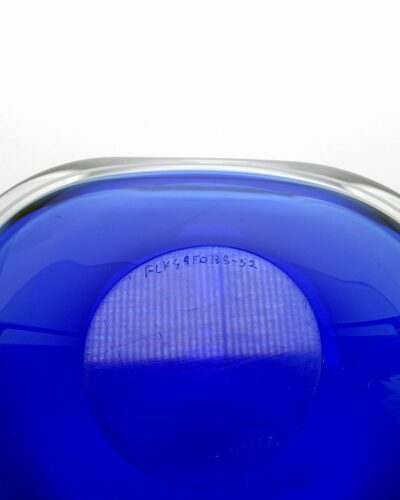 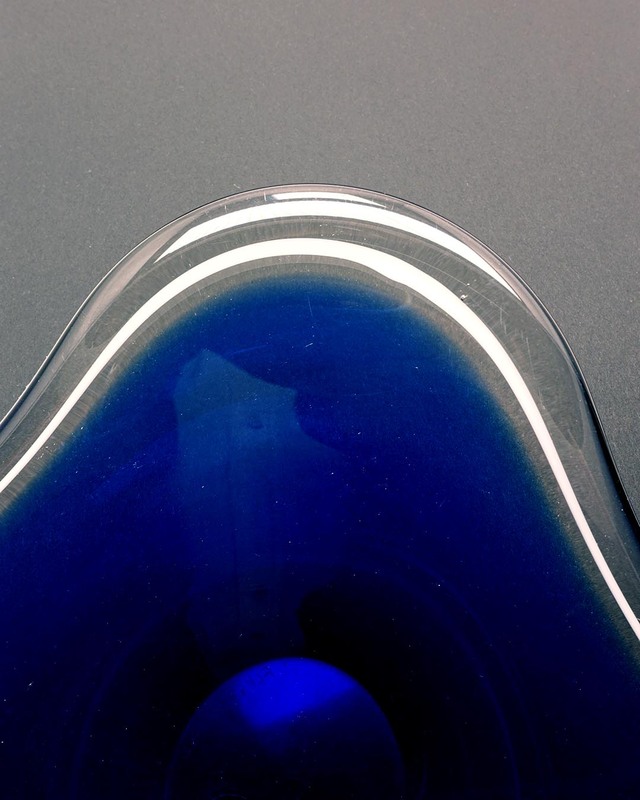 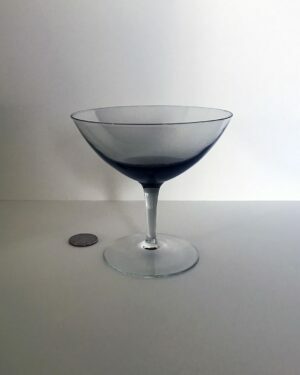 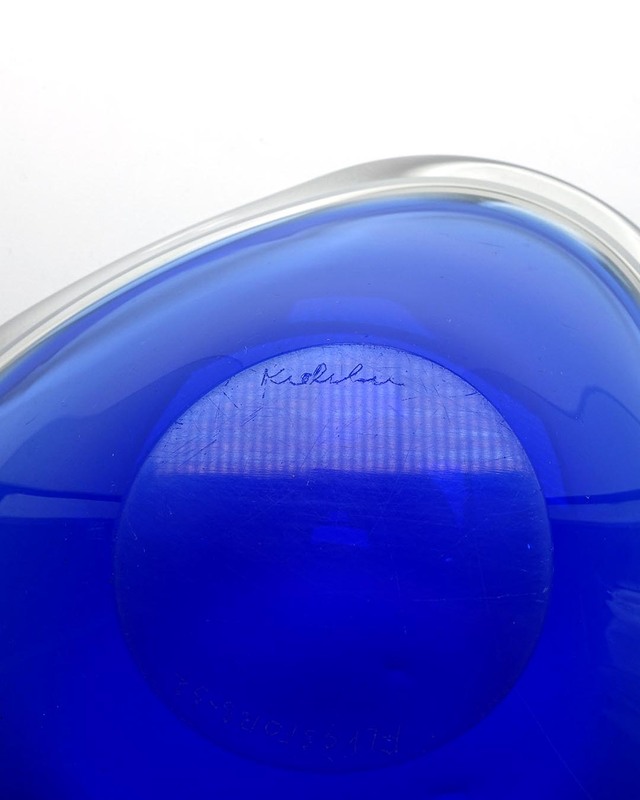 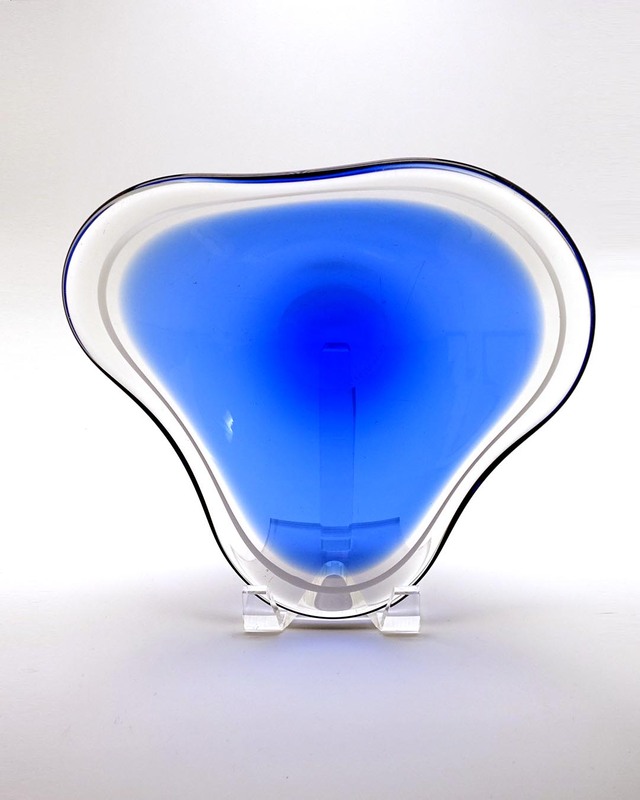 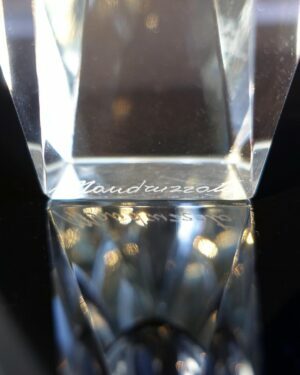 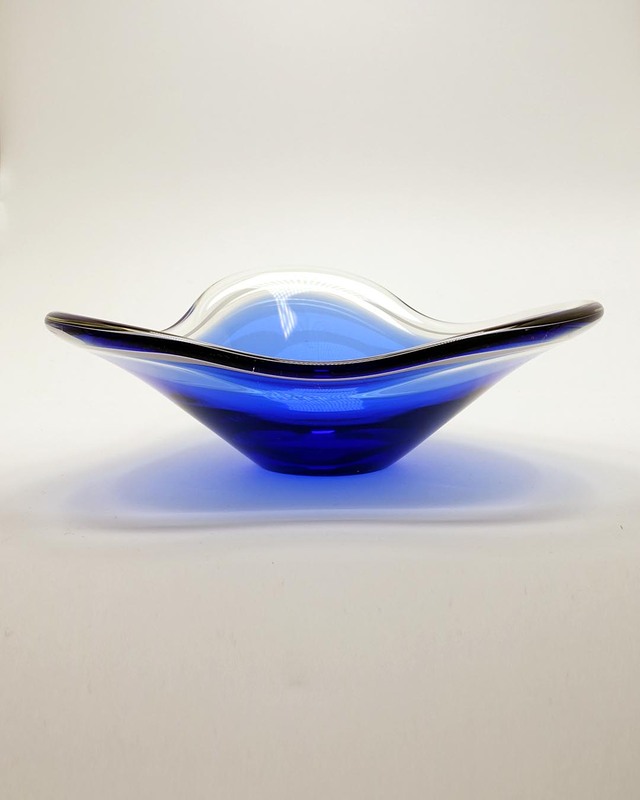 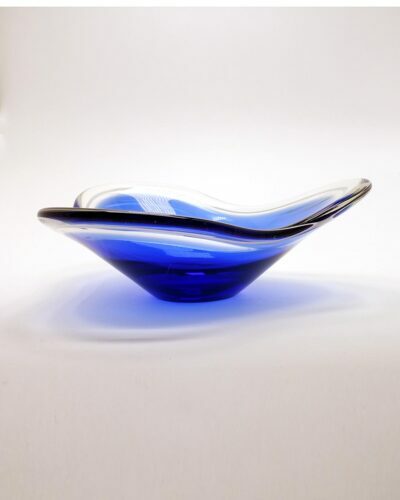 The design is called “Coquille” — French for “shell.” Very fine clear crystal on the outer edge, then a band of pure white, then clear, then a deep cobalt blue to the center. 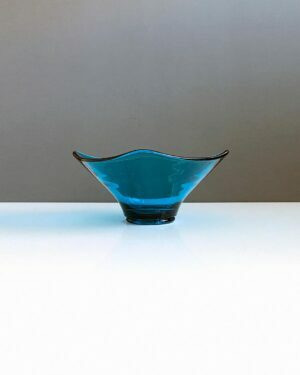 It has three sides and is raised up on a flared pedestal. 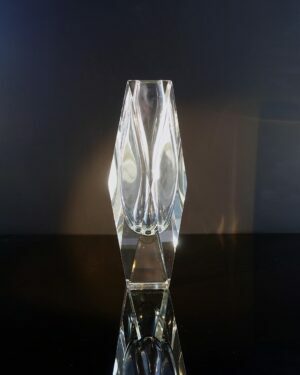 It measures ten inches at its widest point and is three inches tall. It does have a few shallow scratches on the center of the interior.